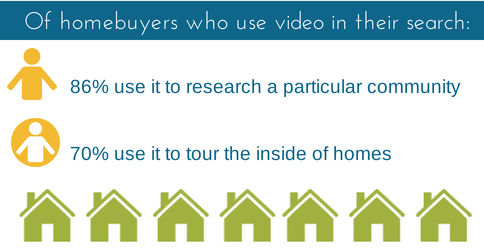 Of homebuyers who use video in their search, 86 percent use it to research a particular community, and 70 percent use it to tour the inside of homes. These two uses are far and away the most popular. And as Stephen Schweickart points out in this post, community videos offer high return on investment because they’re “evergreen” content you can use again and again. So if your video budget is limited, focus on producing community videos and video house tours. Can’t afford both? 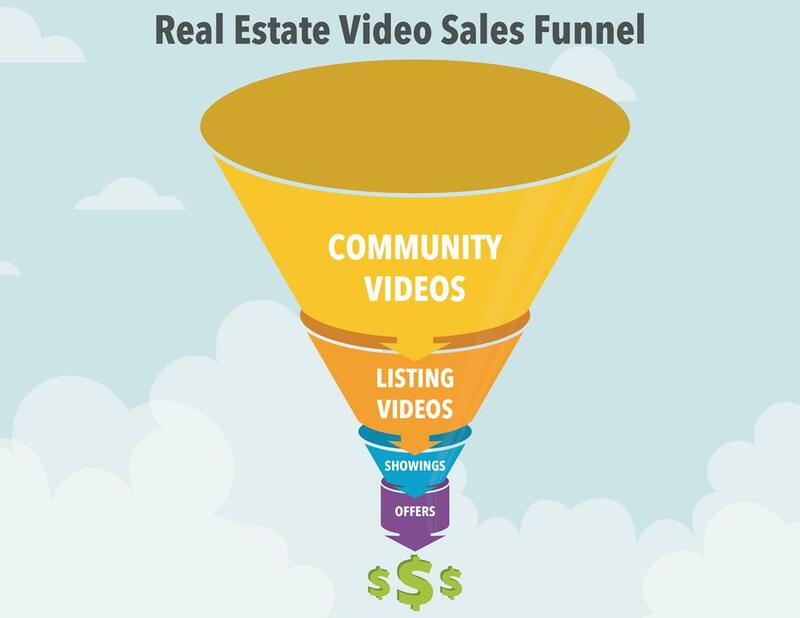 Find a videographer who can produce videos that combine listings and community information. You’ll still nab the lion’s share of the video audience, but you’ll probably spend less than you would to produce both types of video separately. With a 51 percent audience share, YouTube is now the top video research destination for house hunters (yes, even more popular than listing websites), so make it your default upload location for listing videos. Set up your own channel; organize videos by playlist; and use search-friendly keywords or the property address in your title, description and tags to make it easy for buyers to find what they need. YouTube is also a popular destination for agent videos: “Find an agent” searches on YouTube are increasing 46 percent year over year. Of course, you can’t post a written bio on YouTube – you’ll need a video bio to capture that audience. Video bios can run from the very simple to the elaborate, with prices to match. Something simple will get your name on YouTube, which is the most important step, but a more polished video will probably garner more views and shares. Not sure what makes a good agent bio? Read this helpful post from Debb Janes. There’s not a specific statistic about this, but search engine optimization experts generally agree that you’re more likely to get found online if you post quality content in a variety of locations. So if you really want to get noticed, post your videos on YouTube as well as on your own website, your local MLS and your social media pages. This may sound intimidating, but it’s actually pretty simple. If your video is already on YouTube, you can just paste the link into a Facebook or Twitter post, and the video will embed automatically. Most social sites also offer FAQs or tutorials that walk you through video uploading step by step. And, of course, you can always look for a videographer who offers syndication options, listing Web pages or MRIS integration. However you go about video marketing, just get started. As the numbers show, you can’t afford not to!